Primary service areas are Vancouver, Northern British Columbia, Alberta and Saskatchewan. 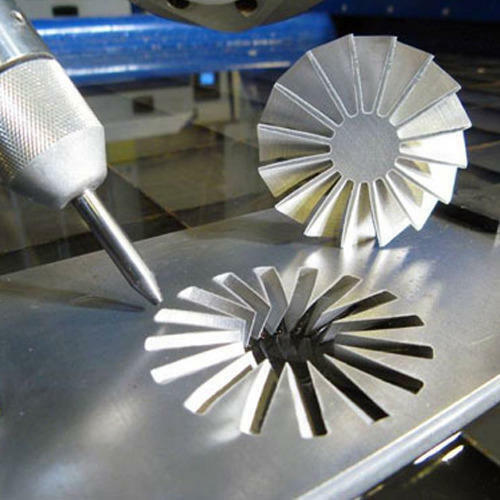 If you need online waterjet cutting services we are one of the most capable and affordable sources and we can get the job done right. We stock a wide variety of materials, use state-of-the-art machines and diligently follow all design specifications. We continually strive to improve and optimize our processes and maximize customer convenience. Our customers range from inventors to businesses to government agencies. We are focused on quality and customer service. Waterjet cutting is an economical way to cut 2D shapes in a very wide range of materials with no tooling costs. The unique process provides reasonably good edge quality, no burrs and usually eliminates the need for secondary finishing processes. Waterjets also generate no heat so the material edge is unaffected and there is no distortion. Creating custom part this way can cut single or multi-layer materials from as thin as .001″ to as thick as several inches. The process yields no poisonous gas when cutting plastics or rubber. No custom tooling is normally needed, making it economical for short and medium runs.